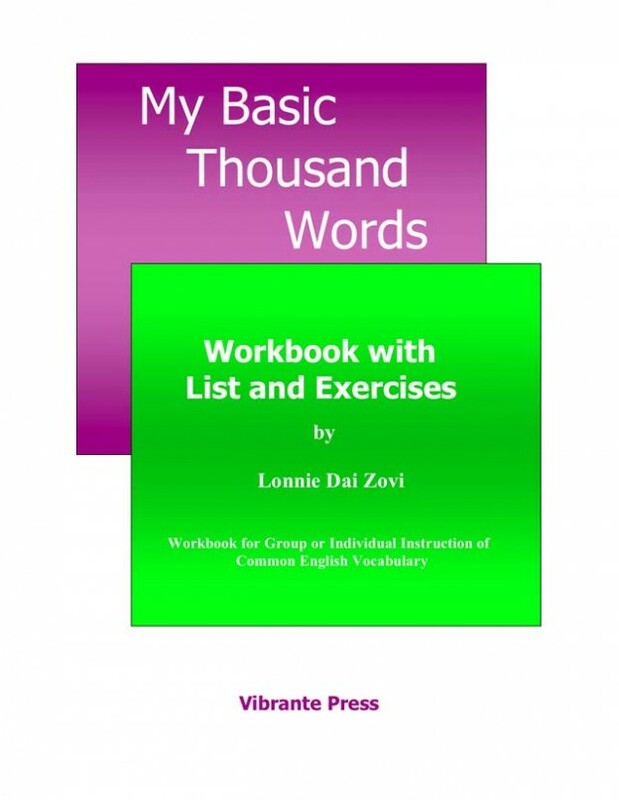 My Basic Thousand Words (by Lonnie Dai Zovi) is a workbook containing a comprehensive vocabulary list of one thousand of the most frequently occurring words with accompanying exercises for ESL or ESOL students. The words practiced are simple yet vital for successful reading and writing for beginning and intermediate English learners. The words and exercises in My Basic Thousand Words are good for group or independent study. They can be used for weekly spelling words, vocabulary teaching, reviewing, or just reinforcement or enrichment to an already existing program. Regular classroom teachers can give these workbooks to their ESL students for extra practice. Of course, the exercises are not limited to ESL students. All students are welcome to improve their basic vocabulary with My Basic Thousand Words.